What a hoot! 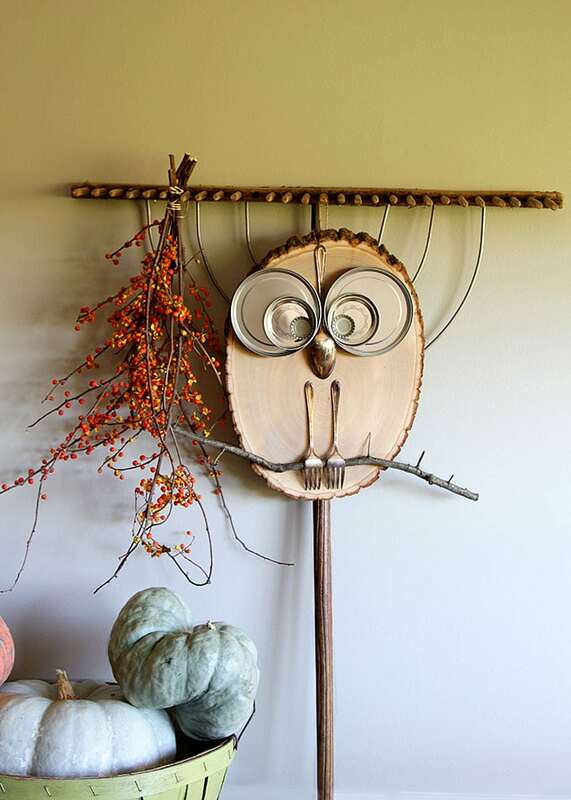 This adorable owl is a super QUICK and EASY DIY wood slice project for fall home decor or any time of the year. I want you to meet Charlie. 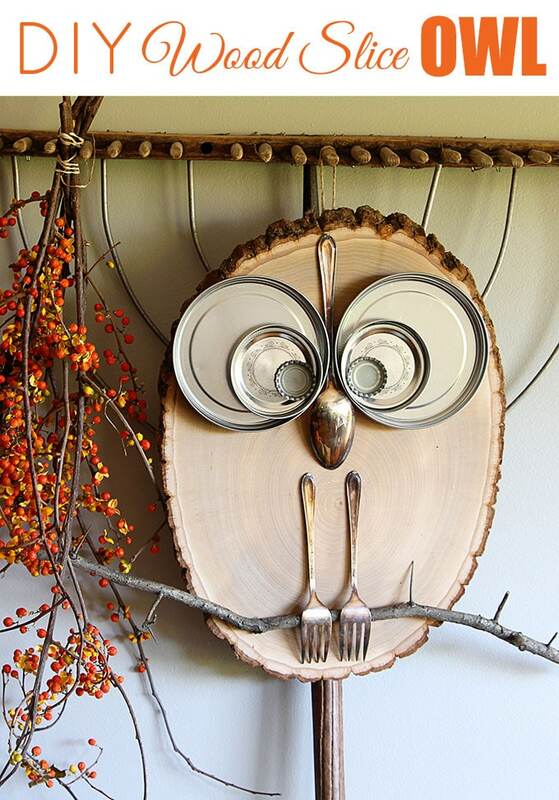 He’s the wood slice owl I whipped up for you. Why Charlie? He’s named after the New Zoo Review, a kid’s program from the 70’s. I first discovered the New Zoo Review when I had to come home sick from school one day in Middle School. I had the flu and had barfed all over my locker in the hallway and surprisingly had been sent home (no idea why) and it just happened to be on tv that afternoon. Sure, I was probably a bit old to be watching a kids tv program, but I loved its simplicity and the theme song and somehow it made me feel better. Can I admit something pretty embarrassing? Besides having barfed on my locker in Middle School? When I broke my arm in August, I had a day long pity party for myself where I laid in bed, drank chocolate milk, ate crunchy Cheetos and watched a couple “episodes” of the New Zoo Review on my laptop. They were really just little snippets that people had taped off their tv sets, but I pretended they were full versions. And it did make me feel better! Sometimes it just takes a little nostalgia and babying to get you back in gear. And an owl. On arm news, I have been officially released from therapy and am 90% back to normal (as if I have ever been normal). I just need to work a little bit more on my fingers to get them moving like they should. Believe it or not, just typing on your computer is not considered therapy. Darn it! 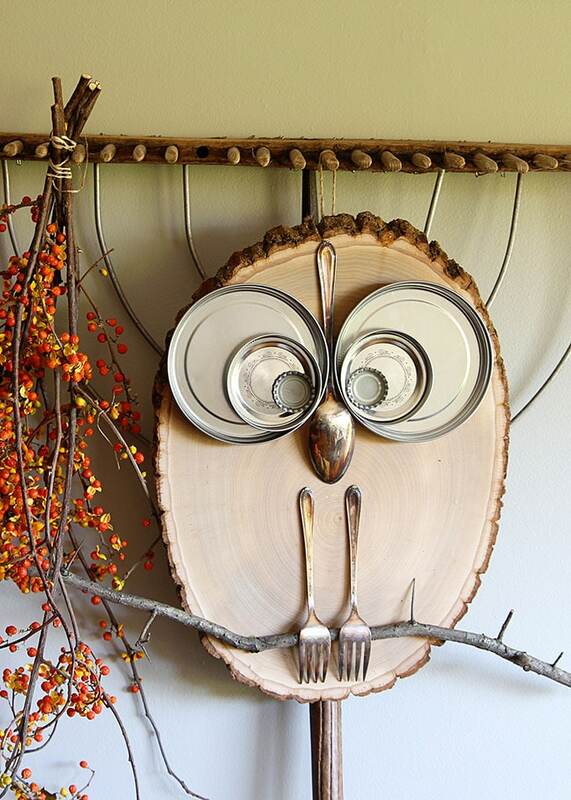 If you want to give your owl a bit of color, you can use a stain to darken the wood slice. 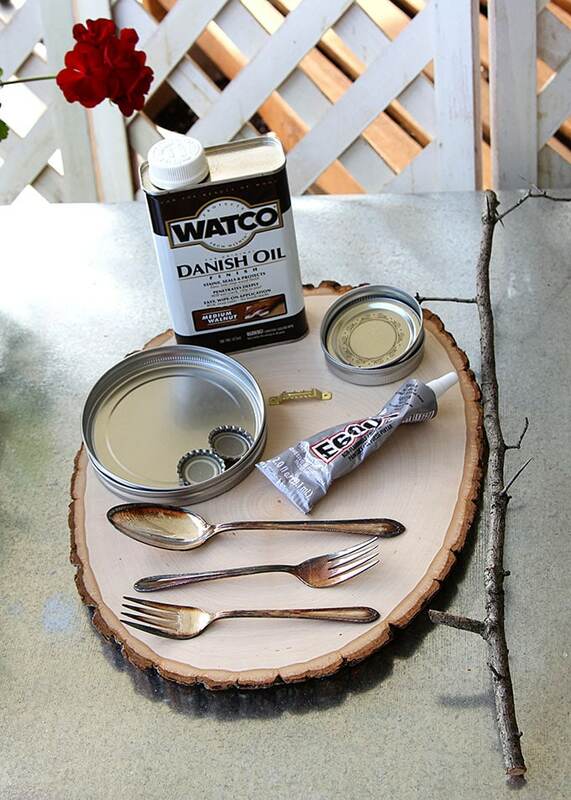 I used the Watco’s Danish Oil that I had used on my Mid-Century Modern Chair Restoration in the spring. This is a totally optional step, you can leave him with the natural wood look if you like. 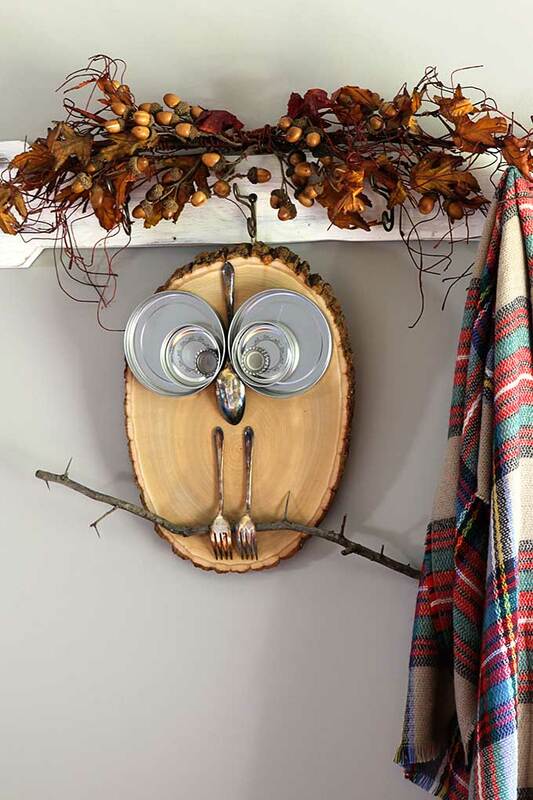 Before you start putting on your owl parts, attach a sawtooth picture hanger on the back of the wood slice. Glue your branch toward the bottom of the wood slice and then glue the forks over the branch (as if he’s holding on for his dear life). Glue the spoon to the middle of his forehead as a nose/beak/mouth. This is where it gets tricky. Just kidding, there’s nothing tricky here. Glue your large lids to the wood. Take the canning lids out of the metal bands and flip the flat lid part around so the prettier side of the lid shows and glue that on top of the larger lids. Then attach the pop bottle caps. 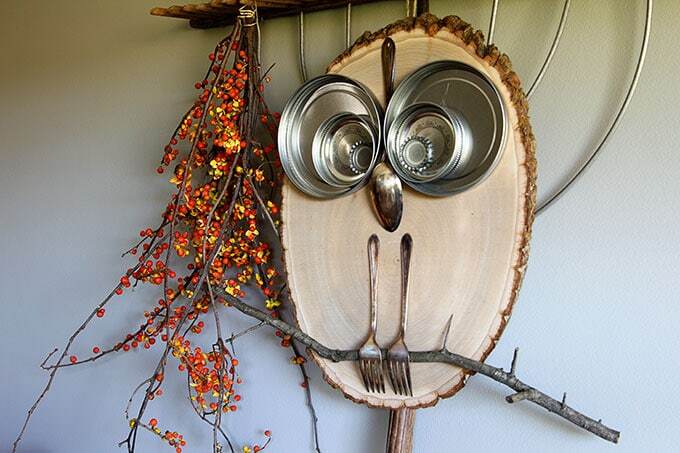 Hang your owl up and give him a fitting name. You don’t have to use Charlie (because let’s face it, you’re probably either too old or too young to know about the New Zoo Review). Hootie is another good one from Hootie And The Blowfish (I maybe showing my age again). Woody? He is made of wood after all. Any other good owl names out there? Pam this is the cutest DIY ever!!!! I remember the New Zoo Review!!! Charlie is soooo adorable and creative. Yay! At least there’s two of us who remember them 🙂 Loved Henrietta Hippo too! That’s a cute idea. And I love the mason jar reference as a name!!! Love love owls! This is very clever. 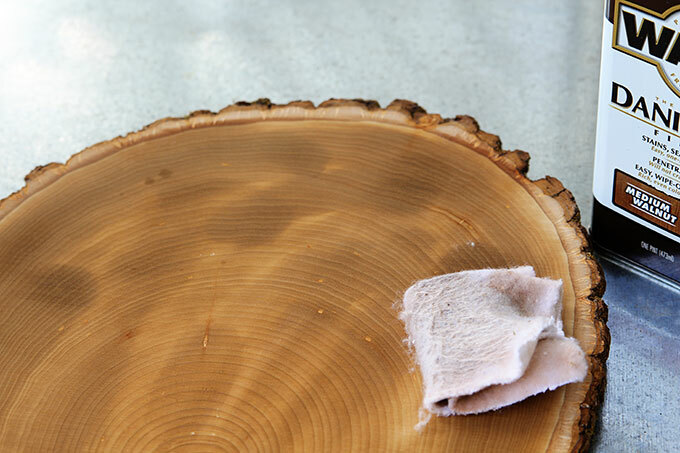 This may be a silly question, but I live in South Florida, Where do you get the wood slices? 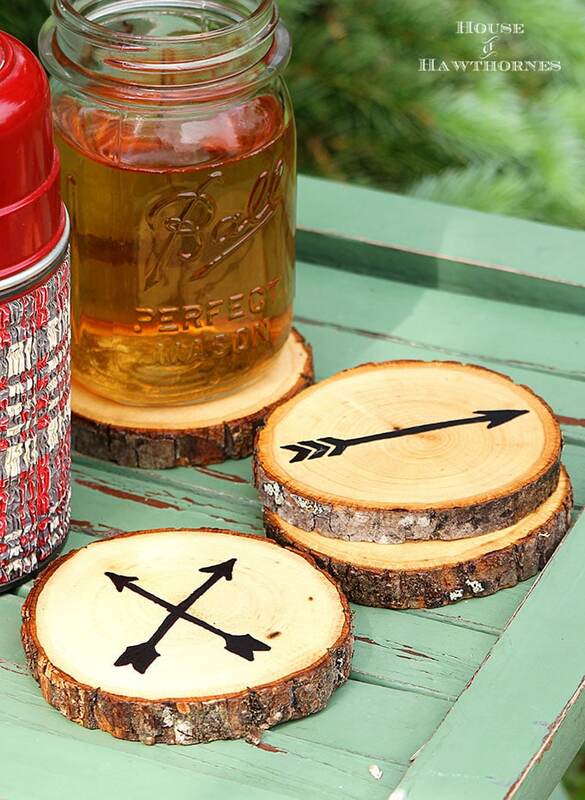 Lately I have seen a lot of DIY crafts with wood slices. Thank you for sharing. 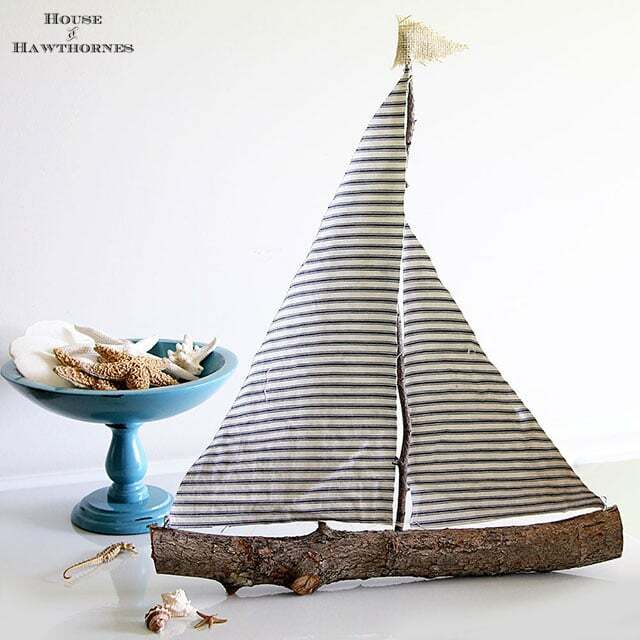 You can find them at the craft stores usually in the same aisle where they sell wooden crates and dowel rods. I’ve seen them at Hobby Lobby, JoAnn Crafts and Michaels. Pam, I love this owl!!! It is so inventive and creative, not to mention adorable!!! And I think babying yourself every once in a while is an absolute must!!! When I have my down days, I make myself some soup, some hot chocolate, get under the covers and watch episodes of “Mr. Rodger’s Neighborhood” and wish I was a part of the land of make believe. Works like a charm every time!!! Oh, Mr. Rodger’s is another good one! Charlie is not only adorable, but I am once again amazed at your clever, creative vision!! I can implement just about any idea, but I would never to put the elements together. I bet it feels great to have the cast off–& I hope your work at therapy will return full strength and range of motion really soon! oops * I would never THINK to put…. super-duper cute Pam! Love the vintage rake and Bittersweet, too! Glad about your recovery! I enjoyed hearing about how nostalgia helped you out of a rough time! I love many old TV shows and TCM movies. Or after a horrible week at work, I will read a Nancy Drew book as a treat, and you know what? It works, just like your show did for you! Nancy is an old friend of mine too. Love those books! Sure do remember that show – my KIDS watched that! So now you know – I could be your mother. Charlie is a HOOT! 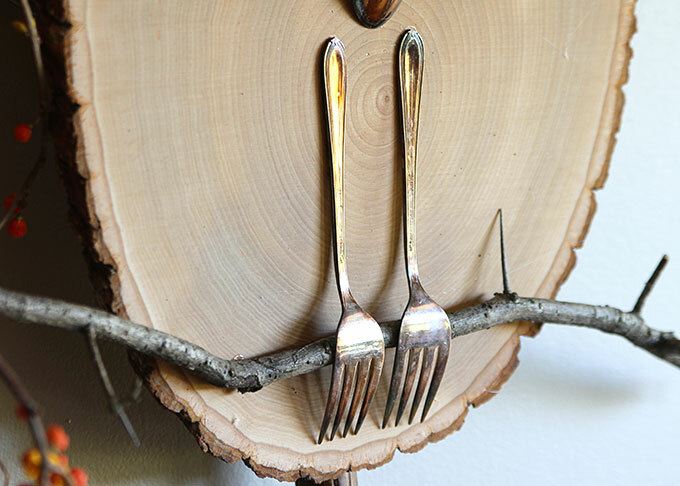 Such a great way to upcycle those lids and silverware. I love it. He’d be cute on my deck or the tree nearby. I love your old rake and that you decorate it and use it inside! Another great craft from you, Pam. Ah, thank you Barbara! You’re so sweet! Charlie is pretty darn cute, Pam! I never heard of that TV show, but I’ll check it out to see if it’s just escaped my memory like so many other things from my past. I’m glad your arm is almost healed, too! And I’m extra excited that I was able to open your blog and leave a comment in no time at all! Several new appliances were installed from our cable company for our wireless router and I hope it keeps working. Have a good evening! Yay for the cable company!!! SHUT UP!!!! This is so freaking adorable!!!! Pam, I love Charlie! What a wonderful DIY! Next thing you know there will be Charlie clones all across the US. He’s a cutie for sure!!! I just realized that the spoon was his beak. duh!! Pam! I am in love with Charlie! He is adorable! We will be making us a Charlie! So cute! This is so very, very cute!!! 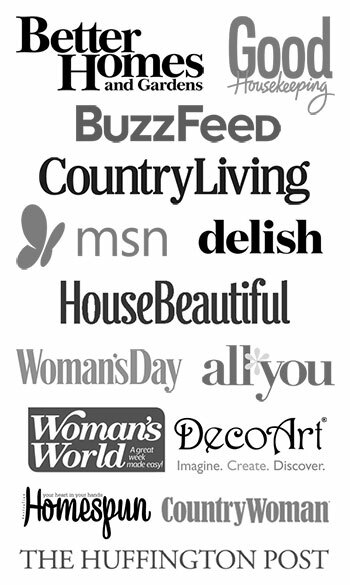 !….Love this project!…Have to pin and share! Oh my gosh, this is such a hoot (sorry, couldn’t resist). 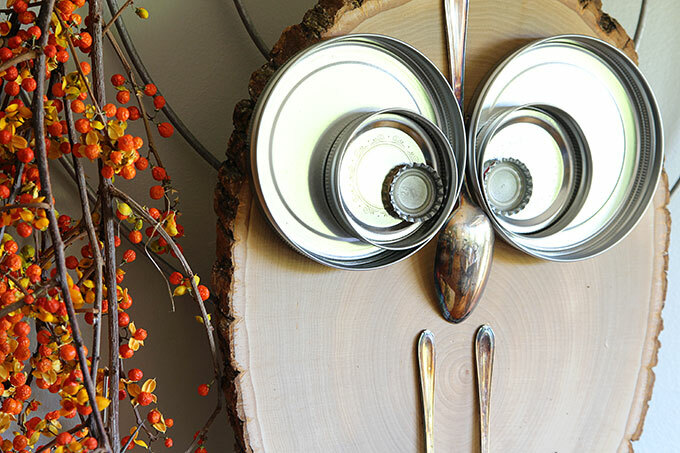 I saw your fabulous owl featured at Reinvented. Pinning to share! Charlie IS a hoot!!! Thanks for the tutorial…. Love that old rake, too!!! I bought that rake at a yard sale for $5! Where do I find a rake like that? Well, I bought mine at a yard sale, but you can find them on Ebay. Just search under wooden hay rake. I am wondering where you found your 5″ lids? The ones I used are tops to glass canisters that you would have on your counter with cookies or flour in it (I actually found mine at the thrift store, but have seen them at both Walmart and Hobby lobby in the food storage aisles). But probably the better way to go would be the lids to those round tins that you put cookies in at Christmastime. Those come in all different sizes. Hi! 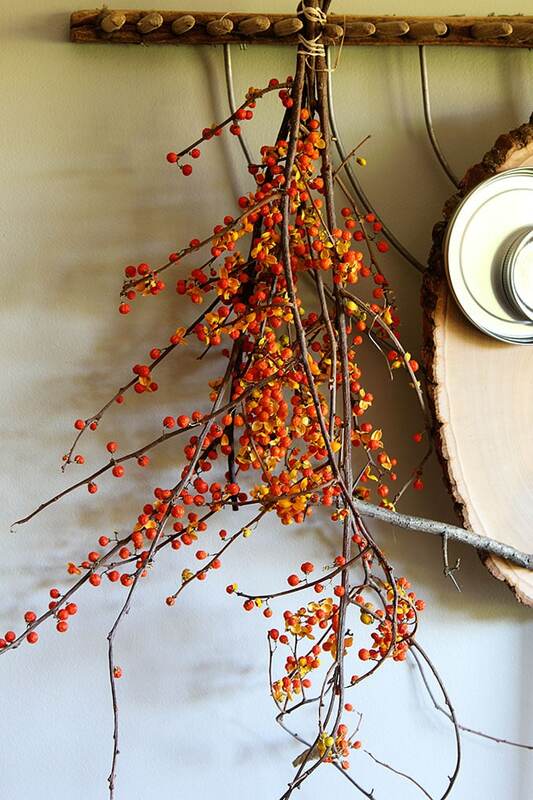 Came across your page from Pinterest while looking for some fall themed DIY projects. I LOVE Charlie and am getting the materials together to make one of my own. Question… where did you find the 5″ jar lid?? I can’t find one anywhere! Please help??? Pam Charlie is awesome. I am trying to make one but I am unable to find a5″ lid. Would you mind telling me where you found yours. Thank you. Well Pam, I love owls. Your tutorial is so simple.. I like the cutlery idea.. I feel like crying as I was at my neighbours’s place last week. She was polishing her silver cultlery and she just threw two forks in the bin bag. Got a shock to say the least. So, will knock on her door to ask her to throw them in my bin lol :-). I have made three bird feeders. I love wood. I like to see *talented people* like you who share their knowledge. Well done. Ah, thank you! I tend to collect old silverware when I’m at yard sales and I’m always looking for ways to use some of it! Grandma printed out this idea as a possible Christmas gift for my grandsons to make for their longggg list of those to create gifts for (Christmas 2016). The two 8-year olds decided this would be PERFECT for their “owl loving” Auntie….and, they were right. Minimal supervision required by Grandma & even cuter in person than pictured!!! Everyone was super impressed by their creation. Auntie is tucking it away to hang in the home she plans to purchase this summer (you can bet these boys will be searching to make sure it’s hung, too! LOL). THANK YOU! 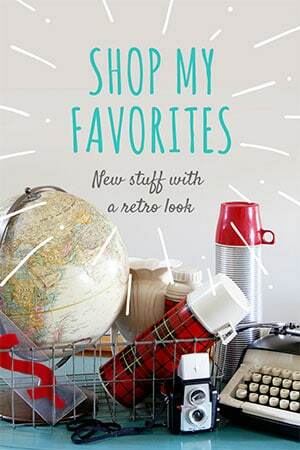 I’ll be looking for more ideas to save for gifts the “grands” can create this year! 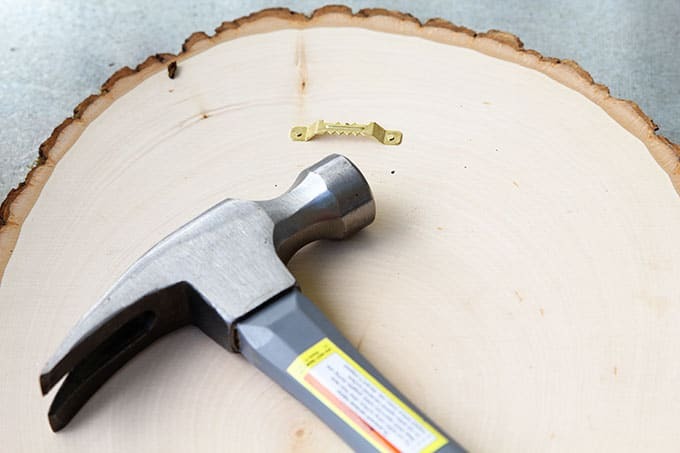 How do you keep the round circle of wood from cracking/splitting? These are wonderfully cute and easy! Really,Cool Instruction. and Diy. Keep it up.